Enhance your medieval, Renaissance, or fantasy looks with a flash of color when you drape the Reinhardt Canvas Gugel Hood over your shoulders and pull liripipe hood over your head. 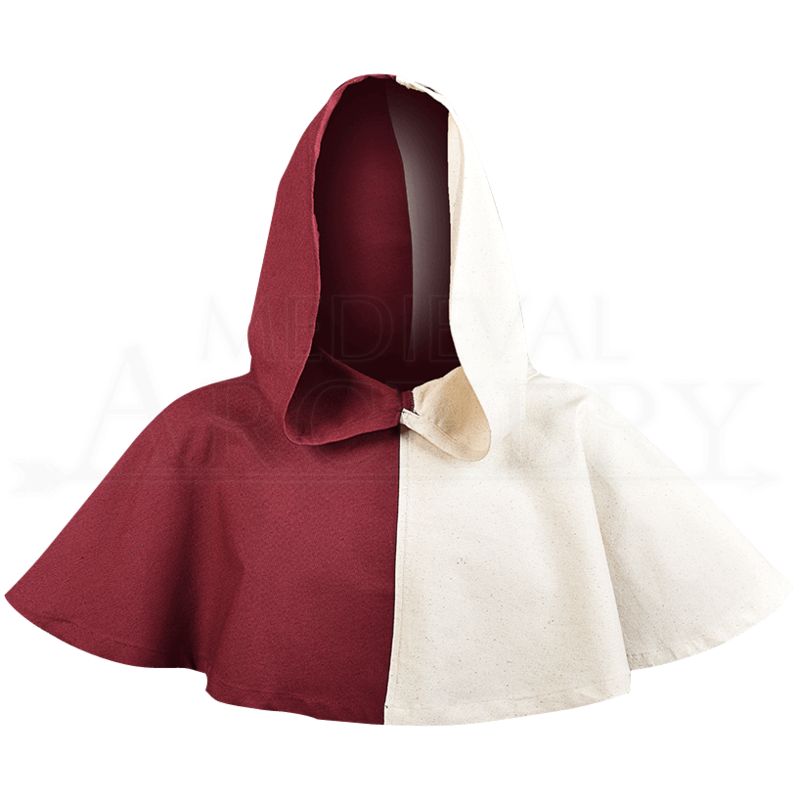 This hooded capelet has a fun split color scheme that vertically divides the hood. Add eye-catching flare to almost any ensemble with this medieval canvas hood. Easy to wear with a variety of outfits, the short cape features an attached, wide-faced hood. The long, tapered tail lends a dash of playfulness to its style. Add unique detail, mystery, and light head protection when you wear the Reinhardt Canvas Gugel Hood at your next medieval reenactment, Renaissance festival, or LARP event.